Presumptive Tax (Section 44AD and 44ADA) in Income Tax | Income From Business 8% (6% if digital) and 50% for Professional. Income tax rules are really complicated and confusing. The Section 44AD of the Income Tax Act, 1961 is no exception. It is really complicated and difficult for a layman to understand. Okay, we are not claiming that we are super intelligent folks sitting on our computers and trying to belittle our readers. Honestly, we are nearly as much confused as you are. So, we are just making an attempt to understand and help you understand everything about Section 44AD of the Income Tax Act, which was laid down in 1961. However, this article will also speak about the amendments that have been made to this section in Budget 2016. What really is Section 44AD? This section is basically a special provision that allows gain and profit computation of a business on what is known as “presumptive basis”. Simply put, it allows computation of gain and profit of a business based on presumptions or speculations or conjectures. Come again? What really is presumptive taxation? For a business, there is something called turnover. Do you think this turnover is the income of the business? No, not really no! The turnover is the gross earning of a business. However, there is one problem. A business entity has a number of expenses to take care of. One basic cost is the salary it pays to its employees. Another cost is that of providing infrastructure for work. Similarly, there are various other expenses. These are operational costs. The turnover that a business will have in a year will be inclusive of all those costs that the business incurred previously during the entire year. So, in order to calculate the actual earnings or net earnings, a business needs to subtract the costs or expenses from the turnover and the remaining is the earning. Now, when we say ‘presumptive taxation’, it simply means that the income or earning of a business is assumed to be a certain percentage of the total turnover. When the income is calculated based on such conjectures or presumptions, the taxation applied on the income is known as presumptive taxation. In case of presumptive taxation, the normal tax slab rates kick in. There’s no special tax slab rate in case one opts for presumptive taxation. Presumptive taxation rules have changes. The most recent change was introduced in Budget 2016. Prior to that, another change was introduced back in 2011-2012 Financial Year. Prior to that, the rules laid down in the Income Tax Act of 1961 were followed normally. The table below gives a snapshot of the changes that took place over time when it comes to applicability of the scheme or section 44AD. Since the start of the Income Tax Act till Assessment Year 2011-2012. Applicable only for Civil Construction Business. Not applicable for professionals. Since Assessment Year 2012-2013 till Assessment Year 2016-2017. Applicable to all business types excluding goods carriage leasing, hiring and plying. Not applicable for professionals. Now, let us take a detailed look at Section 44AD and try to understand the nitty gritty details of the same. In the process, we will take a look at the new amendments as well. This is a special provision or a scheme, wherein, a tax payer is allowed to enjoy tax relaxation if he or she declares the income based on presumption. Now, this income declaration should be based on the gross turnover during a given financial year or on gross receipt during a given fiscal year. The section states that the income declared should be 8% or more of gross turnover or gross receipt during a fiscal year. But, how much gross turnover of gross receipt? The table below should give the answer in a comparative format. The taxation benefits which are provided under this section are available only and only to some of the selected businesses and professionals. These selected businesses and professionals are known as eligible businesses and eligible assesses. For a business or an assessee to become eligible, certain conditions are to be fulfilled. These conditions are described below. For some given reason, the business entity or the eligible assessee is unable to calculate the income from the business. The income thus declared on presumptive basis is by no means, less than 8% of gross turnover of the business in the fiscal year in which the presumptive declaration is being made. We have been repeatedly using the terms ‘Eligible Assessee’ and ‘Eligible Business’. The question that comes here is, ‘what do the terms actually mean?’ What do we really mean by the term ‘Eligible’? What are the conditions under which an assessee or a business entity is considered to be eligible for Section 44AD? An individual who is a resident Indian. HUF – members of which are resident Indians. A partnership firm whose partners are resident Indians. A business or an assessee which / who has not claimed tax deductions under Chapter VIA provisions under the head ‘C’. Heading C is defined as deductions that are allowed with respect to certain types of incomes in any given or relevant AY or Assessment Year. Please Note: LLPs or Limited Liability Partnerships are not eligible for Section 44AD deductions because this section specifically excludes LLPs. What if income declared is less than 8%? Yes, that is a possibility. An assessee can actually declare an income which is less than 8%. Given that situation, the assessee will be required to maintain what is known as Books of Accounts. Not only that, the assessee will have to hire a Chartered Accountant to have the accounts audited as mentioned under Section 44AB. Similarly, the assessee may actually choose not to use Section 44AD at all. Given this scenario too, maintenance of Books of Accounts is mandatory and so is an audit by a Chartered Accountant. Which are certain businesses excluded from Section 44AD? 1961 – AY 2011-2012 Civil Construction Business All other business types Excluded business have been covered in the Section 44AE. Are you still confused about who can use Section 44AD and who cannot use Section 44AD? In that case, the table below will give a detailed clarification. Example 1: Let us assume that there is a company named ‘Softex Private Limited’. The company manufactures software products and sells in market. The company has an annual turnover of INR 99,99,999.00. Will this company be eligible for Section 44AD? BOTTOMLINE: YOU REALLY DON’T NEED TO LOOK ANYWHERE ELSE. SINCE THE COMPANY IS A PRIVATE LIMITED COMPANY, IT CANNOT USE SECTION 44AD BECAUSE THE SECTION SPECIFICALLY STATES THAT ONLY THE ASSESSEE HAS TO BE AN INDIVIDUAL, AN HUF OR A PARTNERSHIP FIRM (BARRING LLP) TO BE ABLE TO USE THIS SECTION 44AD. Example 2: Mr. Anil Dubey has a provision shop. The shop has an annual turnover of INR 89,00,700. He is resident Indian. Will he be eligible for using Section 44D? BOTTOMLINE: Because it is a provision shop and not a Civil Construction Business, Mr. Anil Dubey will not be eligible for Section 44AD during the period 1961 to AY 2011-2012. For the period, AY 2012-2013 – AY 2016-2017 and period AY 2017-2018 onward, Mr. Dubey will be eligible for using Section 44AD. Example 3: Mr. Desai is a garments wholesaler who is a resident Indian and has a yearly turnover of INR 1,55,00,000. Will he be eligible for Section 44D? BOTTOMLINE: Because it is a garment wholesaler business and not a Civil Construction Business, Mr. Desai will not be eligible for Section 44AD during the period 1961 to AY 2011-2012. For the period, AY 2012-2013 – AY 2016-2017 also, he will not be eligible for Section 44AD because the annual turnover exceeds INR 1 crore. For period, AY 2017-2018 onward, Mr. Dubey will be eligible for using Section 44AD as the annual income is below INR 2 crores. Example 4: Ms. Sheetal Pandey runs a wine shop with an annual turnover of INR 2,88,59,678. Will she be eligible for Section 44AD given that she is a resident Indian? BOTTOMLINE: Because it is a wine shop and not a Civil Construction Business, Ms. Sheetal Pandey will not be eligible for Section 44AD during the period 1961 to AY 2011-2012. For the period, AY 2012-2013 – AY 2016-2017 also, she will not be eligible for Section 44AD because the annual turnover exceeds INR 1 crore. For period, AY 2017-2018 onward, Ms. Sheetal Pandey will not be eligible for using Section 44AD as the annual income is above INR 2 crores. So basically, she just cannot use Section 44AD. Example 5: Mr. Ajit Agarwal has a restaurant business which gets an annual turnover of say, INR 1,89,58,000. He is a resident Indian and hence, he is eligible for using Section 44AD from Assessment Year 2017-2018. What is the minimum presumptive income that he needs to declare? We know that for using Section 44AD, one needs to declare a presumptive income of at least 8% of the total turnover in a fiscal year. So, as per the example above, Mr. Ajit Agarwal needs to declare a presumptive income of 8% of INR 1,89,58,000. This stands to INR 15,16,640 (fifteen lakhs, sixteen thousand, six hundred and forty rupees). What is new rule and what is old rule? Since 1961 to Assessment Year 2011-2012: Only and only Civil Construction Business allowed to avail Section 44AD, Yearly turnover should not exceed INR 60 lakhs and Professionals were not included. From Assessment Year 2012-2013 to Assessment Year 2016-2017: All business except goods carriage leasing, hiring and plying can avail Section 44AD; Yearly turnover should not exceed INR 1 crore and Professionals were not included. From Assessment Year 2017-2018 onwards: All business except goods carriage leasing, hiring and plying can avail Section 44AD; Yearly turnover should not exceed INR 2 crores and Professionals are also included provided, the yearly receipt is less than or equal to INR 50 lakhs. Now that we have gone through the Old and New rules all over again, let us check out the fuss with expenses and depreciation in a tabular format. Expenses Expenses like interest, remuneration, salary etc. can be claimed for deduction from presumptive income declared Expenses like interest, remuneration, salary etc. can be claimed for deduction from presumptive income declared (barring the last Assessment Year of the period, that is 2016-2017) 44AD (2) subject to limits which have been mentioned under the section 40 (b) Expenses like interest, remuneration, salary etc. can NO LONGER be claimed for deduction from presumptive income declared (effective from last Assessment year of Old Rule, that is 2016-2017) 44AD (2) has been completely deleted by 2016 Finance Act. In case of old rule, it was not mandatory for an assessee opting for Section 44AD to pay advance tax. However, Finance Act of 2016 made a change to this and made advance tax payment mandatory. Any eligible assessee who opts for presumptive taxation will now be required to pay advance taxes. This advance tax has to be paid in full in a single installment on or before March 15 of the given fiscal year. The Finance Act of 2016 made it very clear that once an eligible assessee decides to declare income and go for presumptive taxation, he or she needs to ensure that the presumptive income has been declared for next 5 years in a row. If the assessee fails to declare presumptive income in any one of the next 5 years that follow, the assessee will not get tax benefits (that he or she enjoyed for using Section 44AD) for the next 5 years in a row counted from the assessment year after the assessment year in which the assessee did not declare the income. Put in other words, he or she cannot use presumptive taxation for next 5 years from the assessment year after the assessment year in which the assessee did not declare the income. Assessment Year 2023-2024 Not Allowed to opt for presumptive taxation and hence, cannot avail the benefits provided by the scheme. How is annual turnover calculated? We have seen how income is calculated out of annual turnover. However, what is the method of calculating annual turnover in case one wants to opt for Section 44D? Basically, one simply needs to add up the revenue but there are few things which need to be included and a few things which need to be excluded in the calculations of annual turnover. The table below shows what should be included and what should be excluded. An eligible assessee may have multiple businesses. In that case, the total annual turnover should be the considered (that is, turnover of each individual business should be added and then the collective turnover should be considered). An assessee may be in a profession and may also carry out a business. In that case, the assessee will be allowed to use Section 44AD only and only for income generated from business and not for the income generated from the profession (despite the fact that Section 44AD is now applicable even for professionals). In case of presumptive taxation, an assessee needs to use ITR Form 4S-Sugam. It is a completely different form compared to the usual form used for ITR (Income Tax Return). This is a new rule that has been introduced in Finance Act of 2016. Actually, a whole new section has been added and is known as Section 44ADA. If the annual receipt of a professional is less than 50 lakh rupees in any given financial year, the professional becomes and eligible assessee for presumptive taxation. 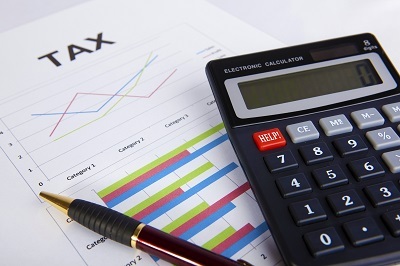 If the professional decides to go for presumptive taxation, the income of the professional will be considered to be 50% of the annual receipt. The professional should be a resident of India. Which professionals will be considered for Section 44AD? Any other professional that the Official Gazette notifies will also get included in the list of professionals who will be allowed to use Section 44AD or presumptive taxation feature and its benefits. That’s all! We have discussed Section 44AD in details. In case we have missed something accidentally or in case we failed to explain something properly, feel free to drop us a message. We will try to include or improve as far as possible (that’s a polite way of saying that we will do it if we understand it.